There were a lot of significant new mobile phones released five years ago this October, one of those that has faded a bit into obscurity is the Samsung Galaxy Nexus, the third generation of the "pure Android" Nexus smartphones and the second one to be made by Samsung. 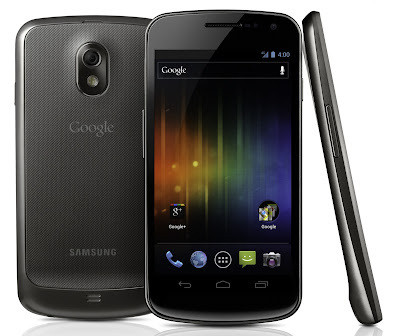 Perhaps more significantly, the Galaxy Nexus was the first device in the world to ship with the Android 4.0 "Ice Cream Sandwich" operating system. Compared with most other phones of the time, the Galaxy Nexus was a monster with a 4.7" 720 x 1280 pixel panel on the front. Inside was a dual core 1.2GHz CPU with 1GB of RAM and 16 or 32GB of storage. There was a 5 megapixel camera on the back plus a 1.3 megapixel one on the front. LTE and NFC were available in some models too. Performance tests showed the the Galaxy Nexus was blazingly fast, and the quality of the camera and display were noted. However, the new operating system probably got the most attention, being the third major iteration of Android for smartphones (Android 3 was for tablets only) and coming with a hugely improved user interface and better performance and power management. Compared with the titchy 3.5" panel on the iPhone 4S, the Galaxy Nexus was enormous, and it helped to set a trend for bigger and bigger screens... although it took several years to Apple to catch up. Support for the Galaxy Nexus from Google and Samsung was quite short, just two years ending with an upgrade to Android 4.3. You would expect about twice that from an Apple product, which is one reason why Apple customers tend to remain customers. "New old" stock of the Galaxy Nexus is still available for around €90 or so.